Few historical eras are more embarrassing for older self-described racial progressives than the school de-segregation fights of the 1970s. After Brown v. Board of Education in 1954, school integration proceeded in fits and starts with vacillating commitment from the federal government and intense opposition. In the 1970s, broad white opposition coalesced around court-ordered and federally-mandated busing. Busing was the most straightforward way to integrate schools: drive students from segregated neighborhoods to integrated schools. White parents around the country protested, boycotted, and took extreme measures to prevent busing. This wasn’t limited to the deep South—for example, white parents in Boston attacked school buses and had to be held off by police in riot gear because they didn’t want their schools integrated. Despite intense resistance to busing, most evidence indicates that it worked. What’s more, since the decline of large-scale desegregation efforts, schools have become more segregated and the so-called “achievement gap” has widened. But you can still hear self-identifying “liberal” and “not a racist but” white parents demanding that students from other neighborhoods (read: not white) stay out of their schools, and recalling busing as a misguided too much, too soon mistake of pointy-headed social engineering. Then there’s Joe Biden. Last presidential election cycle, before Biden announced he wasn’t running, historians and pundits were beginning to point out the tension this history would cause for Biden were he to run. The tension being that Biden fiercely opposed integration measures, especially busing, throughout his early career in the Senate. No. In fact, Biden was a driving force in the fight against busing and federal school desegregation. Narrowly speaking, Biden may have voted against an amendment here or there. There were a number of senate-sponsored anti-integration amendments pushed by avowed segregationists around this time, like notorious North Carolina Sen. Jesse Helms. Biden may have voted against some of these. But for Biden to say he took a stand for busing as something “worth losing over” is a gross distortion of his conduct amid intense fights over busing in Delaware, and of his overall record on de-segregation. In fact, Biden consistently fought pro-busing measures, sponsored some of the most devastating anti-busing measures, and made some extremely questionable statements about busing and federal desegregation measures in general. In 1976, the same year as a landmark Wilmington busing order—which presumably is what Biden was referring to on Pod Save America—Biden voted for a broad senate amendment that would have barred federal funding to promote busing. That amendment failed. But that same year, Biden also voted for the “Byrd amendment,” which prevented the Health, Education, and Welfare Department (HEW) from using any funds, directly or indirectly, for integration by busing. That amendment passed, and mostly caused the Ford administration to stand down on HEW-promoted integration. The next year, Biden himself offered an amendment to block HEW from requiring school systems to assign teachers or students to schools, classes, or courses based on race. 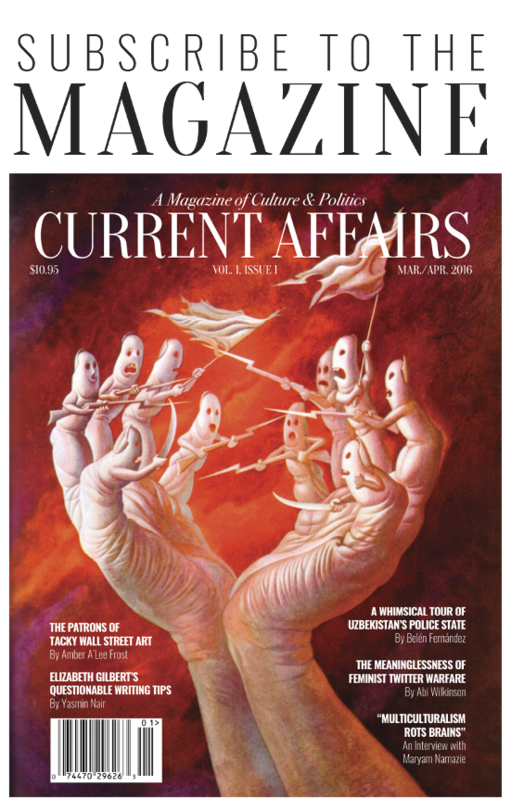 Put simply: the federal government wanted to require schools to integrate by reassigning teachers and students—sometimes by busing, but also by less controversial methods such as “pairing” or “clustering” school districts to create integrated schools. Biden sponsored an amendment to stop this. The Senate rejected Biden’s amendment. But the Byrd amendment—now effectively a compromise position between integration advocates on one side and segregationists (and northern “totally not segregationists” like Biden) on the other—passed again. After taking office in 1977, the Carter administration found creative ways to get around the Byrd amendment and fund integration. The administration’s Justice Department also redoubled its push for court orders requiring desegregation by busing. This angered congressional segregationists. And also Biden. In response, Biden and his Delaware colleague co-sponsored the “Biden-Roth” amendment to prevent federal courts from ordering widespread busing. The most important section of the bill required judges to tailor their court orders to remedy only the adverse effects of existing segregation, i.e. it prevented judges from ordering wider busing to achieve actually-integrated districts. This effort failed, narrowly. Another Biden initiative, though, was wildly successfully, playing an under-appreciated role in ending the short era of large-scale federal desegregation. When it came time to fund HEW for 1978, Biden and Missouri Sen. Thomas Eagleton—another “liberal,” who had briefly been the Democrats 1972 vice presidential nominee—introduced their own revised version of the Byrd Amendment. In this amendment, Biden specifically called out and blocked almost every method HEW was using to desegregate schools—including grade reorganization, pairing, and clustering. Attempts to delete this language from the funding bill failed, and Carter officials grudgingly accepted the new restrictions. The White House’s only recourse now was to refer potential integration cases to an overloaded Justice Department and leave matters up to the Attorney General’s discretion. If he had taken a more heroic stand on busing, we also probably would no longer remember Biden. Busing was an issue that uniquely energized Delaware voters (as it did voters elsewhere), and could have cost Biden his Senate seat in 1978. For example, the leader of anti-busing citizens group, the Positive Action Committee, threatened to challenge Biden for his Senate seat. Biden was not the only Delaware elected leader to make anti-integration compromises. For instance, Biden was joined by the rest of his state’s congressional delegation—senior Republican Sen. William Roth and Republican at-large Rep. Thomas Evans—at a meeting with Carter in June 1977 to complain about the administration’s de-segregation policies. And Roth, remember, co-sponsored one of Biden’s anti-busing amendments. Nonetheless, Biden was as responsible as anyone else in Congress for the effective end of the too-brief era of federal school desegregation. For Biden now to claim that he championed busing as a remedy “because some things are worth losing over” is disingenuous to its core. If the lead-up to his 1978 re-election was the end of a one-off, cynical story, it would be more than enough reason to reject Biden’s newest attempt to recast himself as a steadfast and career-long champion of progressive race politics. But Biden-Eagleton is not the last page of this story. The Helms-Collins Amendment, co-sponsored by one of the Senate’s arch-segregationists who called every black man he met “Fred,” appeared after a resurgent right won the 1980 presidential election. This amendment would have finished the job started by Biden-Eagleton by preventing the Justice Department from bringing desegregation lawsuits that could result in court-mandated busing. This was an extreme bill: Carter vetoed it and Congress failed to override his veto. The segregationists tried again and ultimately failed after Reagan’s election, too. But who was arm in arm with Jesse Helms on this anti-integration bill? Joe Biden. 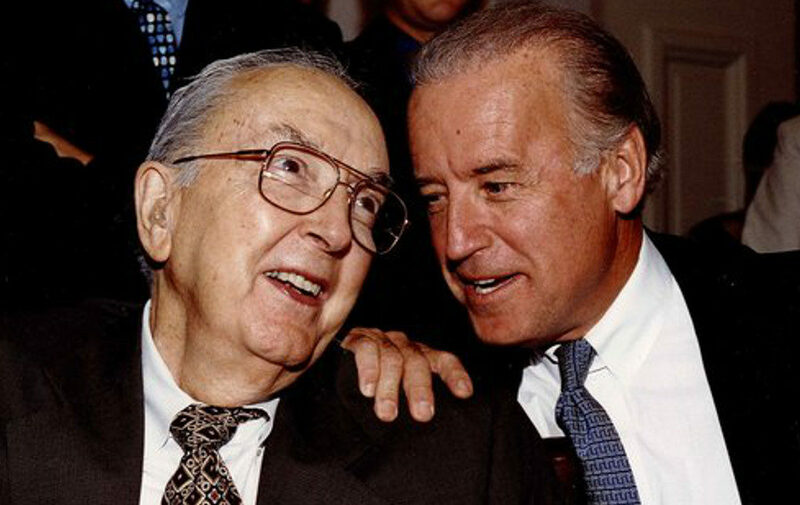 Photo: Joe Biden with segregationist senator Jesse Helms. Asher Smith is an animal rights and animal welfare litigator based in New York City.